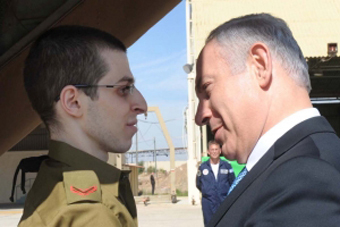 Israeli Prime Minister Benjamin Netanyahu greets Israeli soldier Gilad Shalit at the Tel Nof Air Force base in Israel shortly after his release from captivity, Oct. 18, 2011. The Israel Defense Forces spokesman announced Shalit's return at 11 a.m. Israel time on Tuesday. Shalit arrived in Egypt approximately three hours earlier. 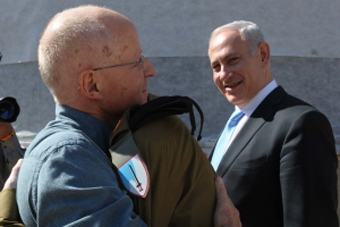 Israeli Prime Minister Benjamin Netanyahu looks on as freed Israeli soldier Gilad Shalit is embraced by his father, Noam, at Israel's Tel Nef Air Force base shortly after Shalit's release from more than five years of captivity, Oct. 18, 2011. Shalit's release came as Israel began transferring 477 Palestinian prisoners to the Red Cross as part of a swap deal between Israel and Hamas that will see the release of more than 1,000 Palestinian prisoners from Israeli jails. Eyewitnesses confirmed that some of the prisoners had begun entering Gaza. Shalit's family was waiting for him at the Tel Nof Air Force base, where he was to be taken after crossing into Israel. Shalit had been held in Gaza since being captured by Hamas in a cross-border raid in June 2006. 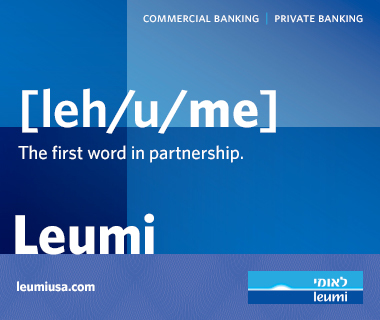 JUF leadership released a statement last week sharing Israelis' joy at Shalit's imminent release last week. Read more about Shalit at www.juf.org/giladshalit.